Jeff Kingsbury - Greenstreet Ltd.
Greenstreet is looking for a summer intern! The former General Electric campus south of downtown Fort Wayne has a new name for its $300 million redevelopment: Electric Works. 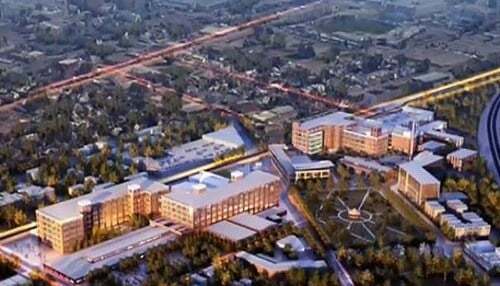 Weigand Construction will coordinate the $300 million redevelopment of the former GE campus, the local firm’s CEO confirmed Monday. DURING THE SPRING OF 2016 , RILEY AREA DEVELOPMENT CORPORATION WORKED WITH ASA GAUEN OF YARDBOX FILMS TO CREATE A SHORT PROMOTIONAL VIDEO FOR THE MASS AVE INDUSTRIAL CORRIDOR. THIS FILM CAPTURES THE REDEVELOPMENT STORY AND THE MANY PEOPLE WORKING AND COMPANIES MAKING PRODUCTS IN THIS AREA. YOU CAN VIEW THE VIDEO HERE. THIS VIDEO WAS CREATED TO BE A TOOL FOR A VARIETY OF LOCAL STAKEHOLDERS TO USE WHEN PROMOTING OR SHARING INFORMATION ABOUT THE AREA. THANK YOU TO ALL WHO OPENED THEIR DOORS AND WERE INVOLVED IN THE PROJECT INCLUDING LISC INDIANAPOLIS. 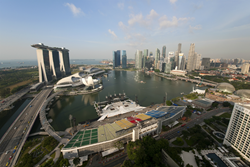 Aerial View of 2015 Urban Open Space Award finalist, Marina Bay. Photo courtesy of URA.